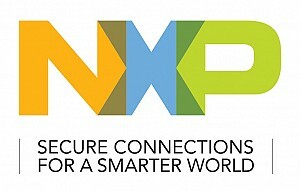 NXP® Semiconductors N.V. enables secure connections and infrastructure for a smarter world, advancing solutions that make lives easier, better and safer. As the world leader in secure connectivity solutions for embedded applications, NXP is driving innovation in the secure connected vehicle, end-to-end security & privacy and smart connected solutions markets. Built on more than 60 years of combined experience and expertise, the company has 31,000 employees in more than 33 countries and posted revenue of $9.5 billion in 2016. NXP Semiconductors Romania begin it’s activity in April 2000, with 5 employees, and until now created a center of excelence in software research and development with over 320 employees, engineers and customer service specialists. The center of software development from Romania generates concepts and patentable solutions for technologies that contributes to the continuous development of the NXP portfolio of solutions that addresses a variety of segments of the semiconductor market. The NXP Semiconductors organisations represented in Romania are: Digital Networking Product Group (Software R&D and Developer Technologies), Automotive Microcontrollers & Connectivity, from which Automotive MCU and Microcontrollers Connectivity and Supply Chain Operations-Order Management EMEA groups ar part of. The NXP priorities in the area of research and development includes the applications for the equipments of telecommunication for the wireless and wireline networks, signal processing for the wireless base stations, security applications in the network, solution of low-power connectivity, profiles and ZigBee applications, development in the Autosar domain, integrated product development (debugger, compiler and performance analise) for the company’s processors. Working with new technologies means that new and huge opportunities exists for innovation, ad our team responds with the latest solutions to the challenges gaved by our customers. This is a fact that it is proved by the imposing number of patent proposals issued by the NXP Romania center of design. NXP Romania is certified with ISO 9001:2008 and it is an active member of the American Chaimber of Commerce (AmCham) and of the National Association of Software Industry (ANIS).